Mega shifts like SD-WAN and the cloud are disrupting 30 years of legacy network and security technology. The network perimeter has completely vanished in a world where businesses now desire lower costs, IT agility, and simplicity. 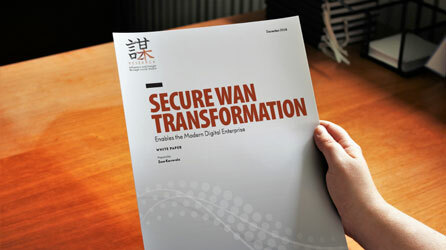 In this paper, ZK Research discusses the need for organizations to decouple the network and security, and how their desire to remain efficient and competitive will drive the adoption of cloud security and software-defined wide area networking (SD-WAN).